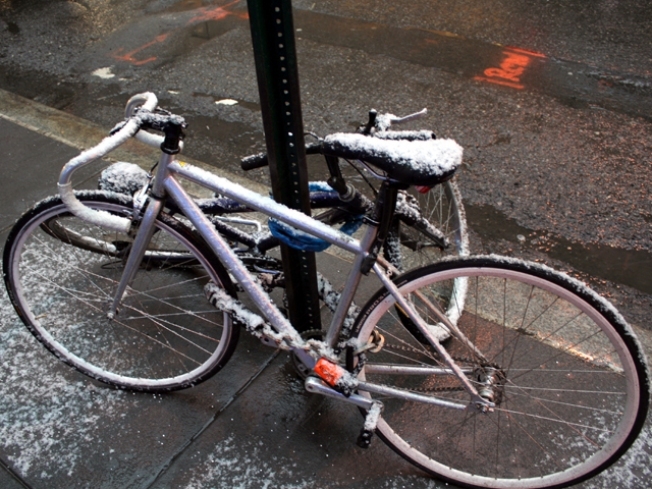 Snow fell for a few hours in Midtown Monday afternoon. High temperatures aren't expected to get out of the 20s, but at least we'll have sunny skies above keeping our spirits warm. After last week's cold snap, temperatures in the 30s would feel just fine, but Tuesday's high is expected to be 29 and Wednesday brings a high of only 26 degrees. We should see some relief on Thursday, when the mercury should hit 36 degrees, and could flirt with 40 on Friday. The next chance for precipitation isn't until Saturday, when we could see either rain or snow. Or both. + Send Us Your Weather Pictures!